He was born Allen Lester Crabbe III in Los Angeles, California on April 9, 1992. 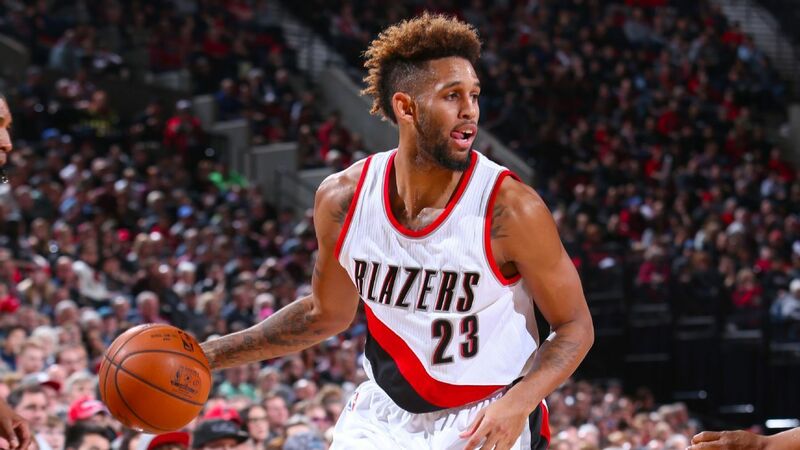 Allen was born to African-American parents Allen Crabbe Jr. and his wife Cheryl Price. his grandfather is Federick K. C. Price who is the founder and presiding pastor of Crenshaw Christian Centre situated in California. While he was growing up, Crabbe attended Price High School in Los Angeles. The school was founded by his grandfather and while he was there, he played basketball for the school team. He was named the Gatorade Player of the Year for California, as well as Mr. Basketball while leading the team to win the Division IV State championship title. At the end of his high school career, he was named to the Parade Magazine All-American fourth-team. During his college career, Allen Crabbe played the role of a shooting guard for the University of California Golden Bears. As a sophomore, he averaged 5.3 rebounds and 13.4 points per game while he received All-Conference honors. He was also named to Pac-12 Freshman of the Year for his wonderful performance. In his sophomore year in 2011, Crabbe hauled 83 three-point field goals, averaged 5.7 rebounds, and 15.2 points per game. At the end of the season, he was selected to the All-Pac-12 selection First-team and second-team NABC All-District IX team. As a junior in 2012, Crabbe was named to the All-Pac-12 First-team for the second time consecutively and was named Pac-12 Player of the Year. He was selected to the All-American Third-team by the National Association of Basketball Coaches and Sporting News. At the end of the season, Crabbe had to forgo his senior year while he declared for the NBA draft of 2013. During the 2013 NBA draft, Allen Crabbe was the 31st overall player in the draft as picked by the Cleveland Cavaliers. Subsequently, he was traded to the Portland Trail Blazers in exchange for two future second-round picks. Joining the Trail Blazers, Allen was sent to the Idaho Stampede team of the NBA Development League and was finally recalled in March 2014. In his rookie year, Crabbe made his first NBA appearance for the Blazers in their 102 – 100 win over the Charlotte Hornets in November 2014. He played 15 games for the Blazers in the 2014 season and averaged 0.6 rebound and 2.2 points per game. The following year, he had 1.4 rebounds and 3.3 points per game. At the end of the 2015/16 regular season, Crabbe became a free unrestricted agent. In July 2016, he got a four-year contract offer worth $75 million from the Brooklyn Nets. However, the Blazers matched the offer, thereby retaining him in their team. He made a major impact for the Blazers in January 2017, coming off the bench to score 30 points in their 125 – 124 loss against the Detroit Pistons. That made him the second player after Jamal Crawford to come off the bench and achieve such feat. In July 2017, Allen Crabbe was traded by the Blazers to the Brooklyn Nets for Andrew Nicholson. Joining the Nets, Crabbe made a wonderful impression in his first game; thus scoring 12 points in their 140 – 131 loss to the Indiana Pacers. On his birthday in April 2018, he scored a career-high of 41 points in their triumph over the Chicago Bulls. At the end of the 2017/18 season, Crabbe averaged 4.3 rounds, 1.6 assists, and 13.2 points per game. The amazing basketball shooting guard has been outstanding since the inception of his professional career. He has shown tremendous improvement in his game; thus becoming one of the best players in the Brooklyn Nets lineup. He signed a four-year contract worth $75 million with the Blazers in 2016 and he receives an annual salary of $18.5 million. 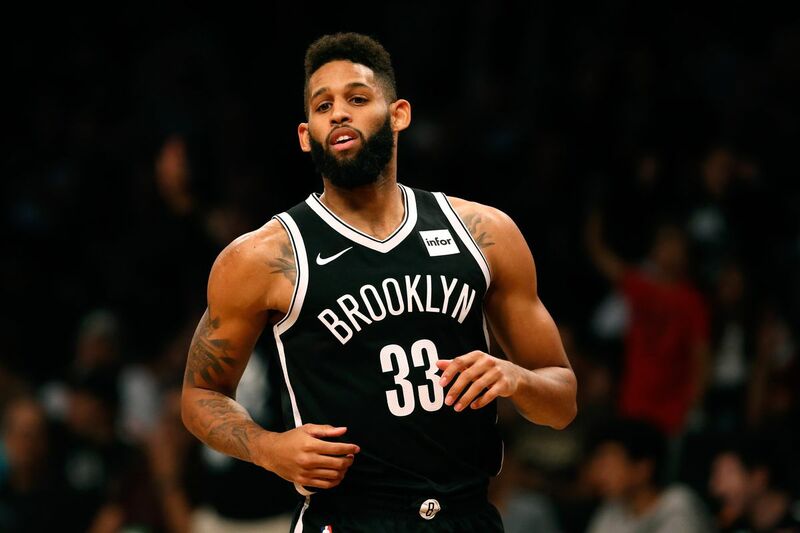 Allen Crabbe has been an asset to the Brooklyn Nets, he has an excellent shooting energy and great ball handling skills. Crabbe does a very good job of using his speed, balance, footwork, and agility while in the court. In addition, he has a great physique and good height. He stands at 6 feet 6 inches (1.98 m) and weighs 98 kg (215 lbs). His eyes are brown while his hair is black.